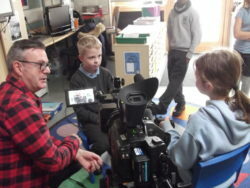 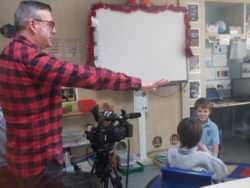 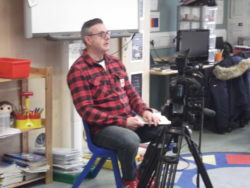 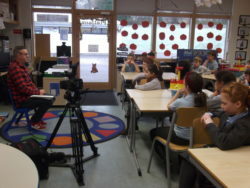 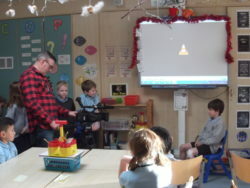 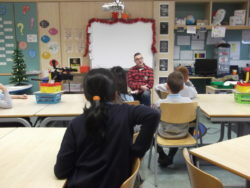 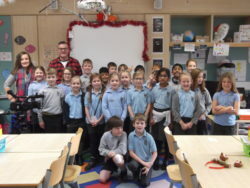 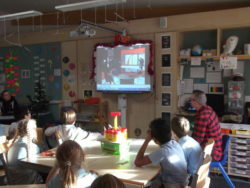 Norman Macleod from STV News came in to school to talk to us about his job. 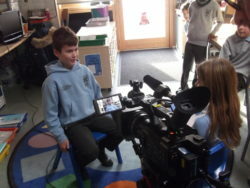 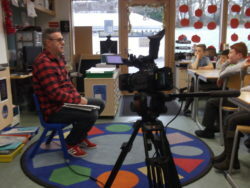 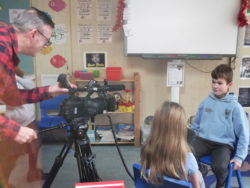 Norman is a TV news presenter and goes all over Grampian recording and presenting for the TV! 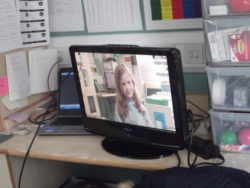 We got to have a shot of reading an autocue (which was very fast!) 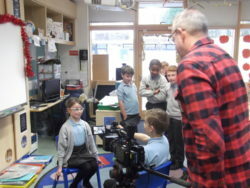 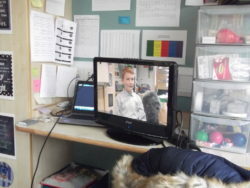 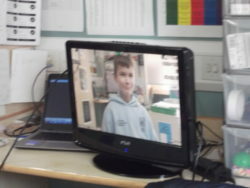 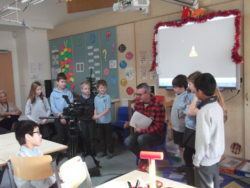 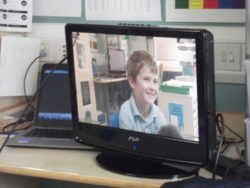 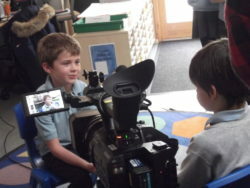 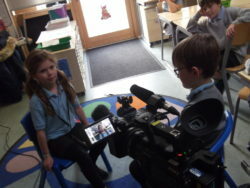 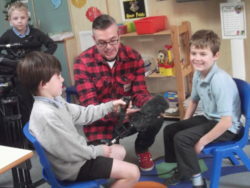 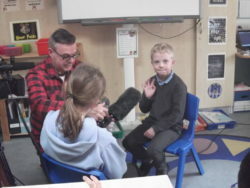 and then some of us got to practise interviewing each other. 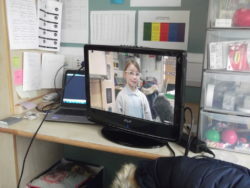 This was recorded and then we watched it back on TV! 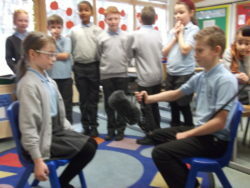 We had lots of fun doing this and thought it was so cool!